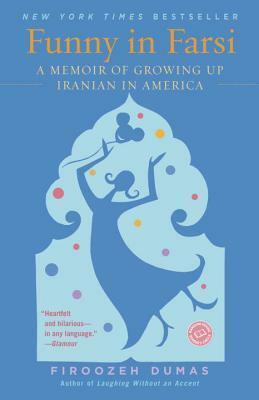 A humorous collection of stories about a young Iranian immigrant to the United States as she deals with her parents and new life, from elementary school to her marriage. A wonderful addition to the growing body of immigrant literature, there are heartwarming and funny tales of her father’s frugality, people’s kindnesses and ignorance, memories of family and homeland. There are plenty of insights into Iranian culture, both overseas and in America, as well as simple family dynamics, told with a humorous view. Her experience visiting Paris is delightful, as is the story of her father’s incompetent repair skills. Anyone interested in a quick laugh should pick up this book. Sign into Goodreads to see if any of your friends have read Funny in Farsi.